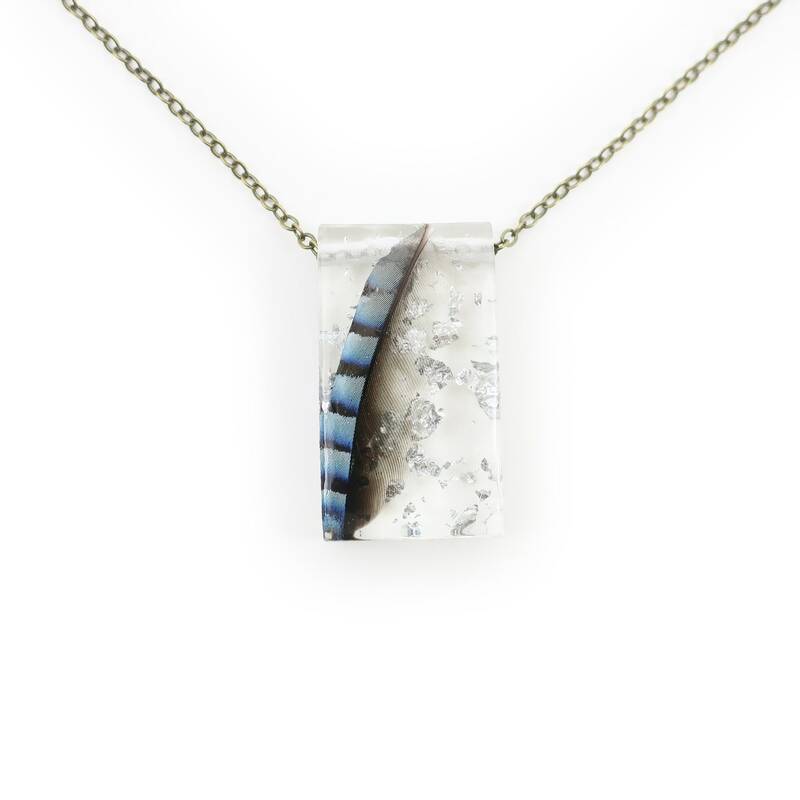 Delicate ethically sourced blue jay feather suspended in hand cast crystal clear eco resin (made with green chemistry) with floating silver leaf accents. 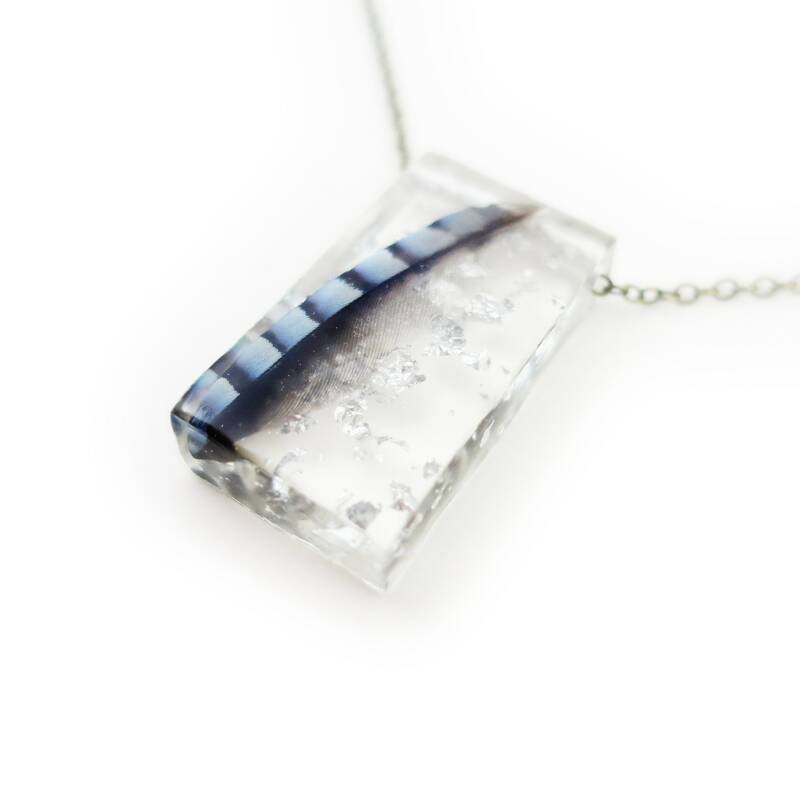 The pendant is a rectangle shape. The chain is a fine-link antiqued brass with antiqued brass lobster clasp, 18 inches around.